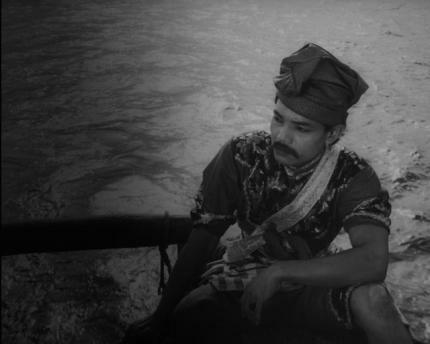 Showcasing a galaxy of stars from the Cathay-Keris studio, Sultan Mahood Mangkat di-Julang stands as one of the finest achievements in Cathay-Keris’ slew of historical dramas made during the golden age of Singapore cinema. Based on a 17th century folklore, the narrative is speckled with romance, murder, political conspiracies and explores the notion of loyalty within a feudalistic society. For successfully defeating plundering pirates, Sultan Mahmood promotes the protagonist to Admiral. This incites resentment from a royal member of the court, especially when the Admiral also marries the beautiful woman that he rescued. The political rivalry ultimately leads to tragedy and upheaval in the kingdom. This film is newly restored by the Asian Film Archive (AFA) in 2015.